My name is Avery and it’s confession time: I’m a Sniffer…. and, my “scent-sniffing” goes way back. It doesn’t matter what form – candles, air fresheners, potpourri, simmer oils and wax tarts. I am so smitten with “scent,” my friends and family always request that I go shopping alone! They don’t have an appreciation for the time I spend standing in front of scented objects, sniffing each one, then pushing the item toward their nose, saying “oooh, smell this one!” And it’s just as well… I don’t want to be hurried! After finding the Candlefind Review Board, I took the plunge and began ordering. And ordering… (I went backwards – from melts I then tried candles!) Then, the Candlefind forum began. Halleluiah! I could see that I was not alone. Finally, there were others that understood the rituals of reading scent lists, plotting orders, waiting for packages and organizing the loot! Oh – and the melting/burning part! Don’t forget the melting/burning part! I look forward to being part of the Review Team. Since I like most scents ( hold the maple, please) I head into this adventure with excitement and an open mind! We may not all agree on scents, but we all appreciate candle money well spent! In this review, Avery tried three fragrances from Orchard Street Designs. Kurant, Sand and Black Coconut. Avery tried two warm and cozy scents from Woodfire Candle Co called Mulled Cider and Snow Day. Avery is back with a new review of scented candles from Aesthetic Content. Have you seen these candles? Holy smokes are they gorgeous!! The scents she reviewed... Sereno Seas and Lavender Pera Bianca. Both sound amazing! Avery tries some classic scents from a company called Twilight Candle Shop. A site that sells all soy candles. Are you a fan of Palm Wax? Avery recently sampled some candles from a cool site called By the Bay Botanicals... a site that makes "destination" candles in all palm wax. FUN!!!!! Avery is back with a brand new review on some "ocean" themed scented candles from Wickit Good Candle Co.
Avery tried an all soy eco friendly site called Dream Soy Candles. With Christmas less than a week away, Avery decided on reviewing a few Christmas scents perfect for the holiday and winter season. Candle Review: Ten Digit Creations - Peace & Love Baby! 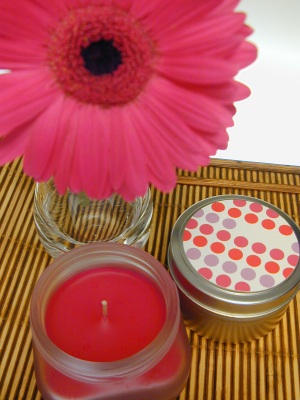 Avery reviewed some summery scents from Bama Scentsational Candles! Methinks she like-eed. It's St. Patrick's Day and to help get into the spirit, Avery decided to work in a review just for this "lucky" holiday.... enjoy!